LittleBigPlanet 2 is off to an astronomical start. After scoring solid reviews all around, including our own 5 out of 5, the game has set online records for most users online at a time. In fact, according to Media Molecule, the number "massively outstrips" LittleBigPlanet 1's record for the same feat. Detailed numbers weren't given, but you can sign into the game yourself and see the reported player count at anytime - a number Media Molecule expects to double in the coming days and weeks. But all those players aren't without problems. 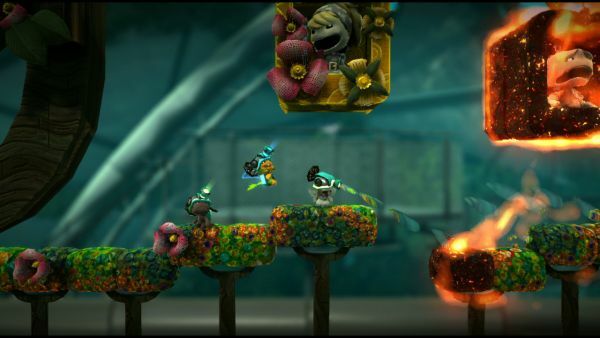 According to Joystiq there's an "infinite loading" glitch in the game that causes players to simply sit and stare at a loading bar when joining or having other players join their LittleBigPlanet 2 co-op sessions. Thankfully the glitch seems easy to fix, simply turn off your controller until the level actually loads, then turn it back on to play. It appears that Media Molecule is on the ball for a fix as well, which should most likely occur in the first title update. Have any of you experience this glitch? I know personally I've seen it a handful of times and just chalked it up to a bad conneciton. Page created in 0.4807 seconds.